If you are like me, you think LinkedIn is the last place you want to spend time online. It's full of spam, blurred business blog posts that range from completely endless and insights that no one has asked for to strange prints, and user interface solutions that seem designed to create the feel of a basement. This does not even take into account the disputes about some of its user data. At best, is Dilbert from social media and at worst is … Scott Adams from social media. Well, good news! Now she'll start trying to show you another video. Initial live content that LinkedIn's hopes hope to broadcast lines to the topic you might already see in the news on LinkedIn: the plan is to be covered is conferences, product announcements, Q & As, and other events led by influential and mentors, working hours from a major technology company, revenue calls, graduation and rewarding ceremonies, and more. 7 months, according to TechCrunch, but Product Management Director Pete Davis told the site that the Live option is "the most wanted feature." Video ads are also lucrative, and recent submissions from Microsoft's owner indicate that his ad business is growing rapidly on LinkedIn's platform. TechCrunch noted that LinkedIn can also take advantage of monetization opportunities such as premium video channels (conferences, etc.) 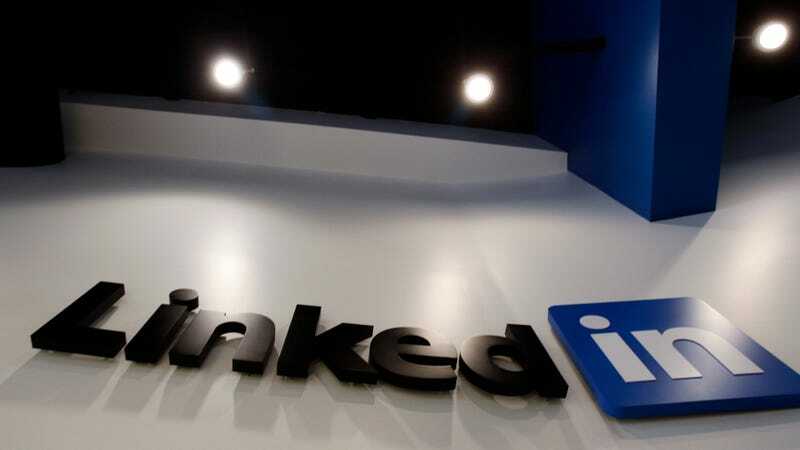 or force companies to broadcast things like revenue reports even though LinkedIn does not mention whether they are considering these options  Live will be released to market in the US shortly after Beta is released. Sometimes they will then join other recently added features like voicemail and Student Voices, similar to the Snapchat Stories video product. Discover.